passion to make it a better place for the future generations. *prizes to be named soon. As a way to give back to our WNY community, we are introducing a pay it forward option for the application fee. who may not be able to afford it. type the extra number of fees in the "# suspended" box. Must include ALL four elements to be considered an applicant in this contest. 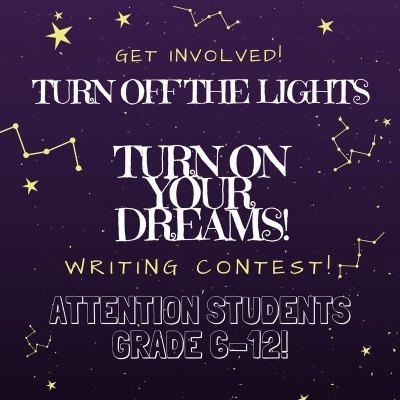 All submissions of writing and artwork will be considered for publication in our Turn Off The Lights, Turn On Your Dreams! Book. Writing may be edited and we reserve the right to publish our edited version without your prior approval. We may choose not to print your name on sensitive personal articles, and in rare cases, we may change names to protect individuals’ identities. If you experience difficulties submitting your article, make sure you are using the latest version of Internet Explorer or try using a different web browser.